Each series is supplied with a custom excel spreadsheet which automatically formats the information. You will need entry list and schedule for the event. 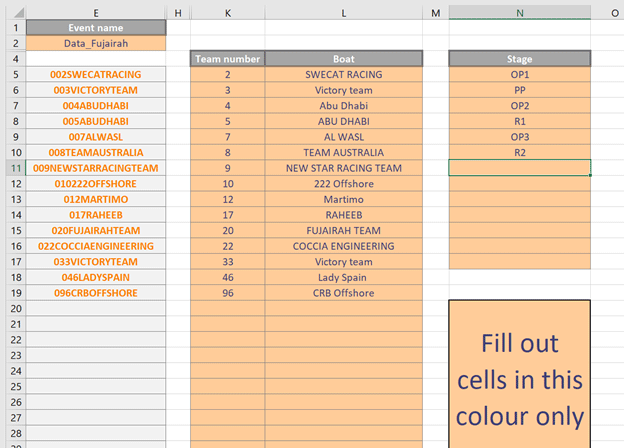 Here is an example supplied for XCAT Race Series. Stage name � This is used in renaming the run file it is recommend keeping the stage name as short as possible. Event name - This is used to call the first directory name. Team number � This is used to create the directory name and file name. Values between 1-999 can be entered. Team name � This is used to create the directory name and file name. It will use all characters in file name but only use first 5 in file name. 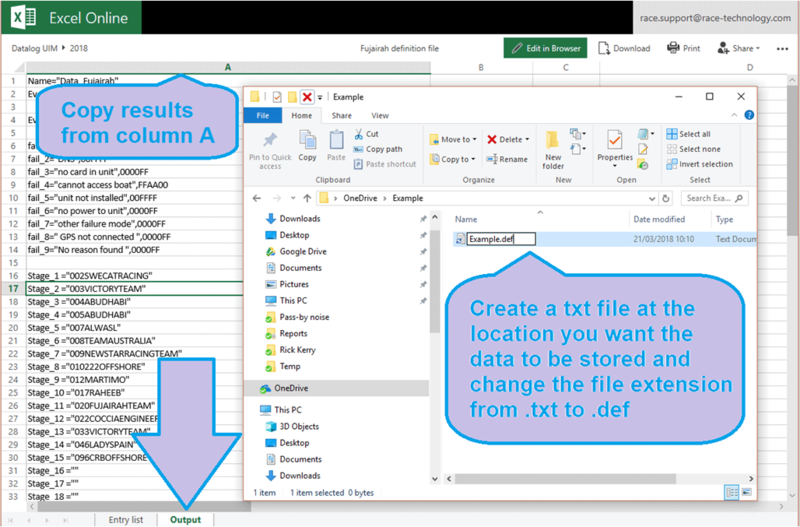 Once complete copy the results from the OUTPUT tab into a txt document and rename it. As shown below.